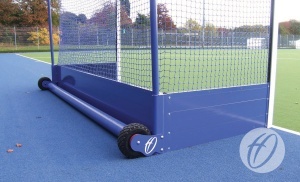 Polyester powder coated white excluding net supports and backboards which are blue. 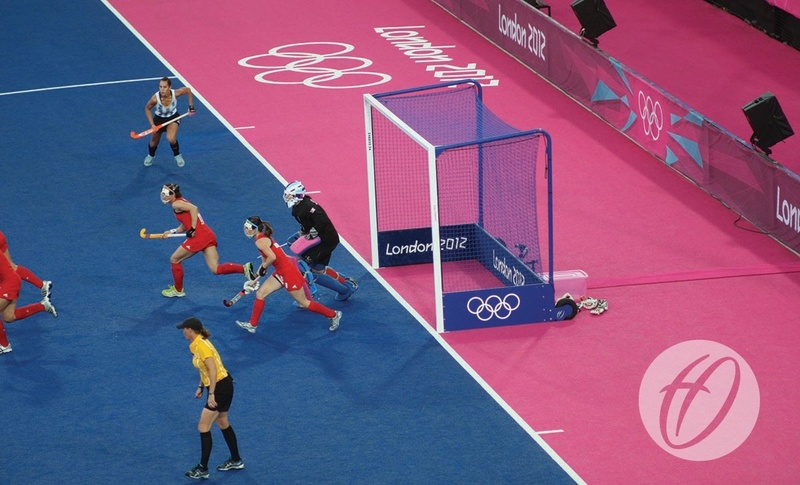 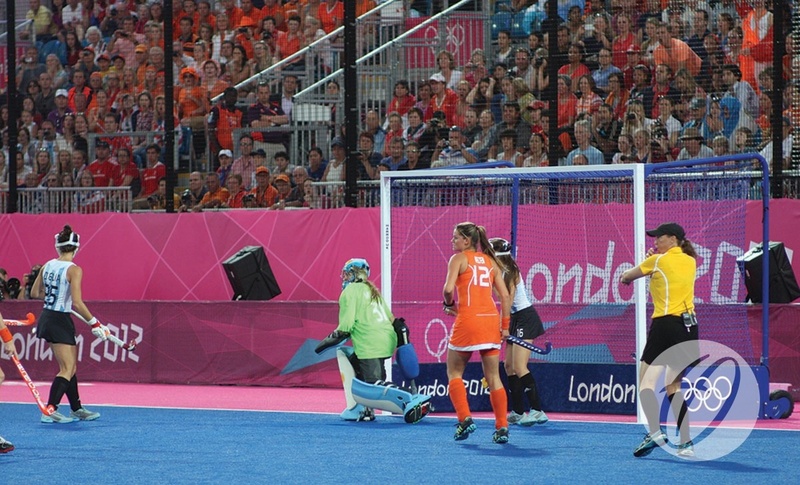 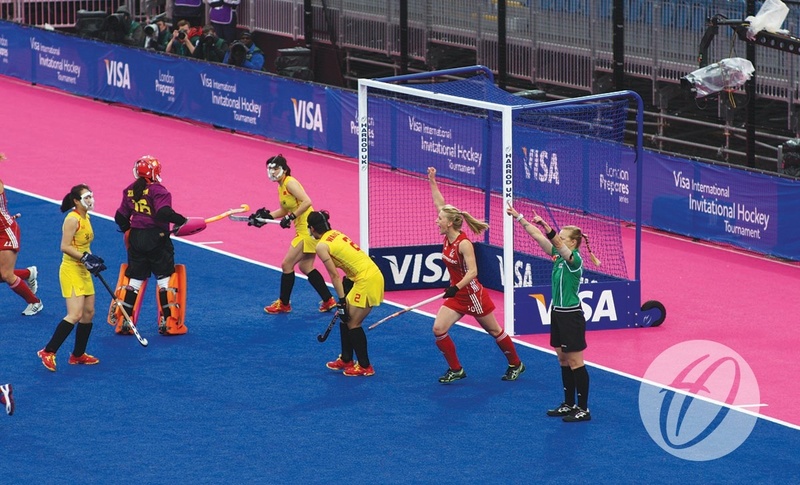 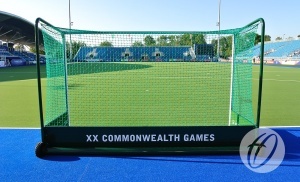 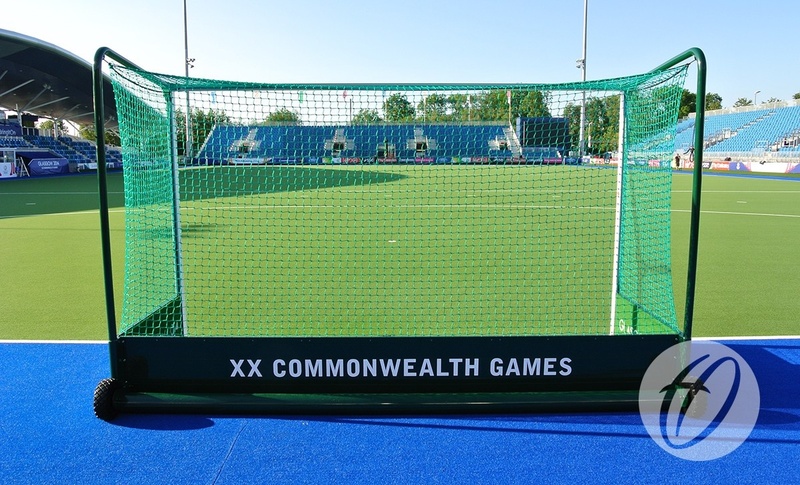 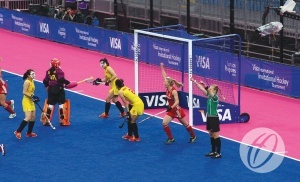 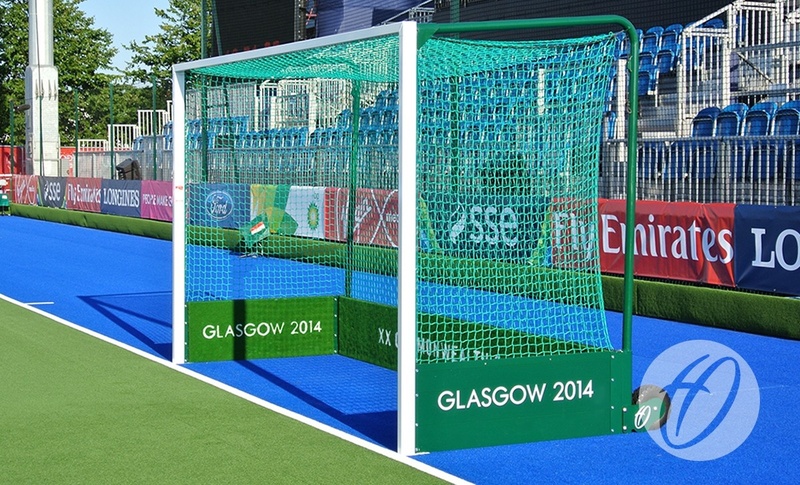 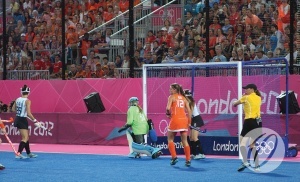 Q: I’m looking to purchase a set of London 2012 hockey goals. Do these come with the London 2012 logo on it? 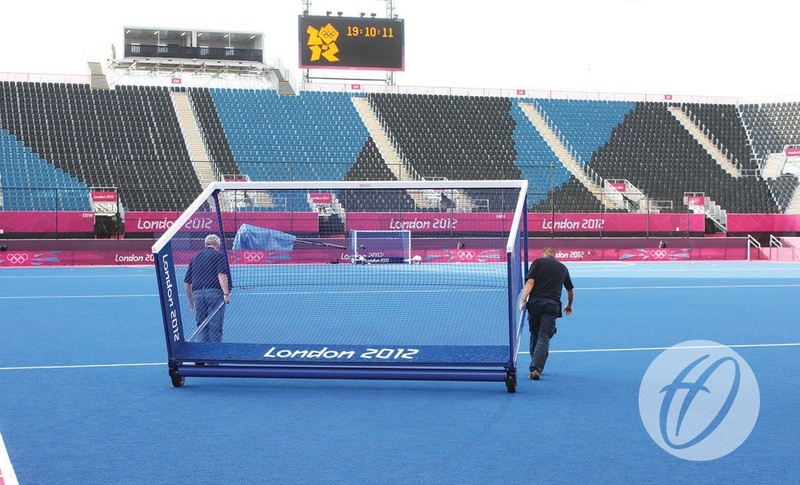 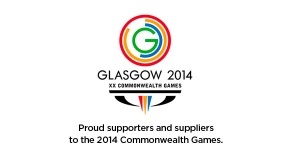 A: The goals will come plain, with no London 2012 logo. 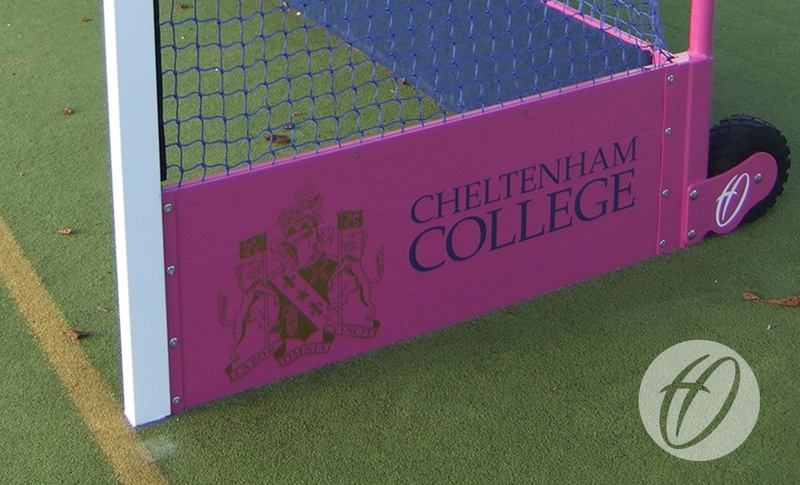 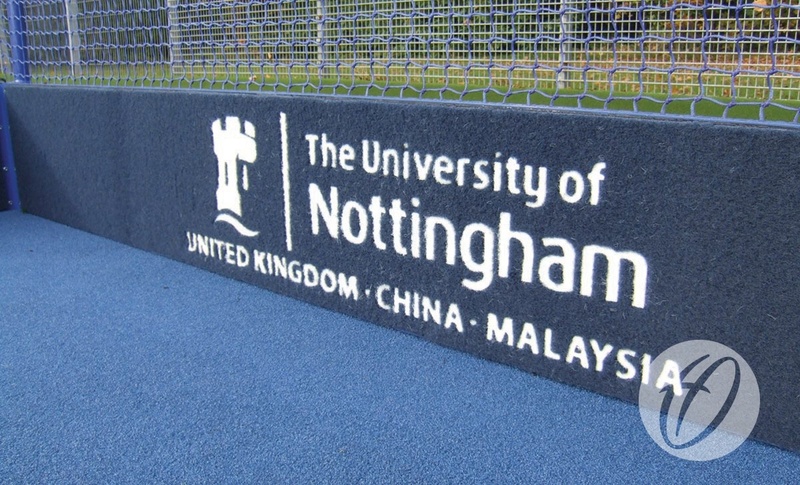 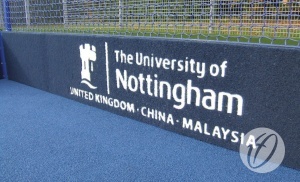 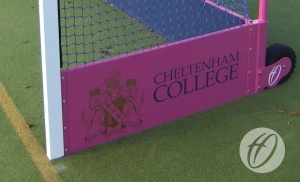 However, we do have the facility to personalise them for an additional cost with either a school or club logo either into the carpet (inside backboard) or on the vinyl (on the outside of the backboards).